A long 9-5 day in the office can play absolute havoc with the look of your makeup. After depriving yourself of those extra minutes in bed ,and getting up in time to apply your makeup immaculately, seeing that your makeup looks less than fresh by lunchtime can be both disheartening and irritating! Many women find that their base is the first area that starts to slide off, and working in an air conditioned or over heated office is a key contributor in this. Thankfully though, there are some simple steps that you can follow that will help to keep your makeup in place throughout the day. Some women make the mistake of skipping moisturiser during the day, as they feel that it is the main reason why their makeup isn’t staying put. This is a major skincare no-no though, as skin needs to be adequately hydrated throughout the day. Regularly skipping moisturiser could lead to skin ageing prematurely- which will present you with even more problems. 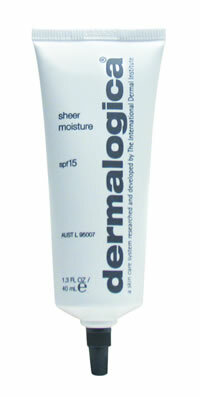 Using an oil-free moisturiser with an SPF- such as Dermalogica Sheer Moisturiser- is the best solution, particularly if you have oily skin. Applying powder every time that shine appears is another common mistake that many women make. This can actually lead to your makeup looking worse- as powder will start to look caked on and uneven. Instead, try blotting with oil control papers, with will absorb excess shine without removing your makeup. Lastly remember that less is more- try and use just a touch of a light foundation and powder and sheer eye and lip products to keep it fresh throughout the day and throughout the rush hour drive home!